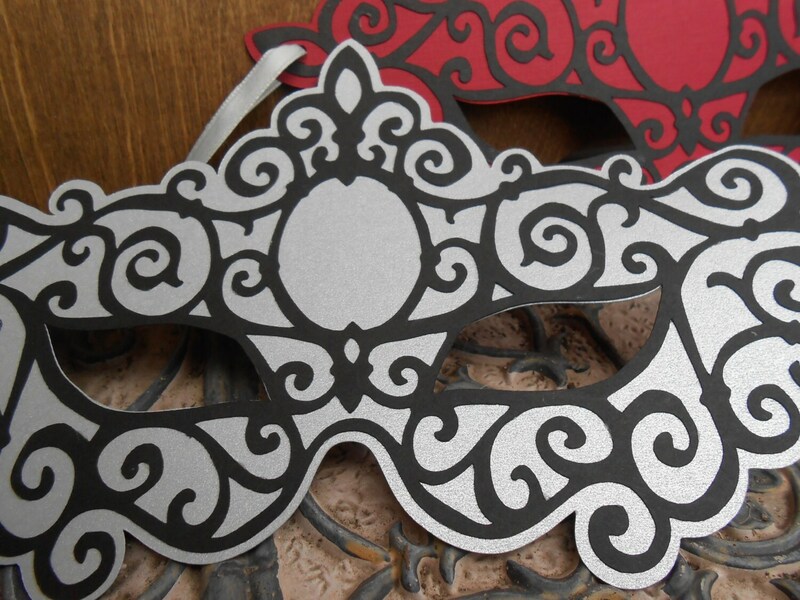 10 Masquerade Masks. CHOOSE YOUR COLORS. 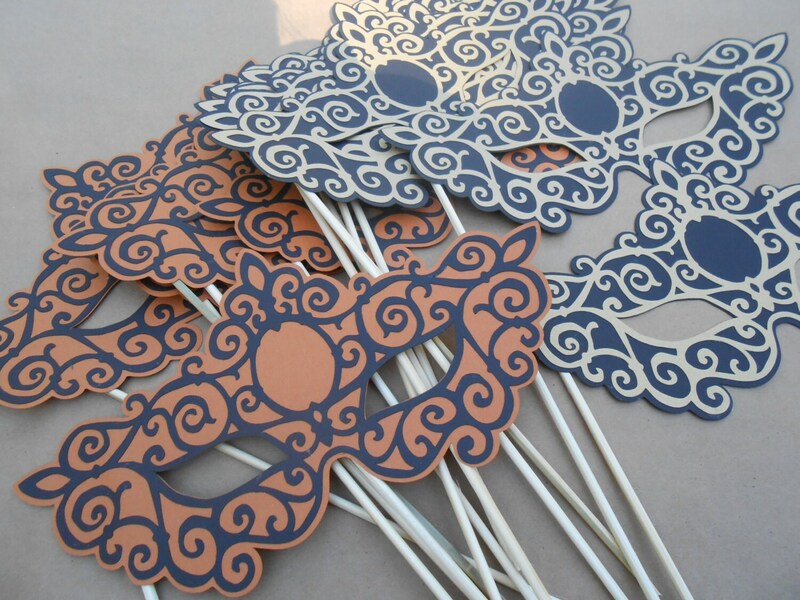 Photo Booth Prop, Wedding, Party Favor, Halloween Mask. 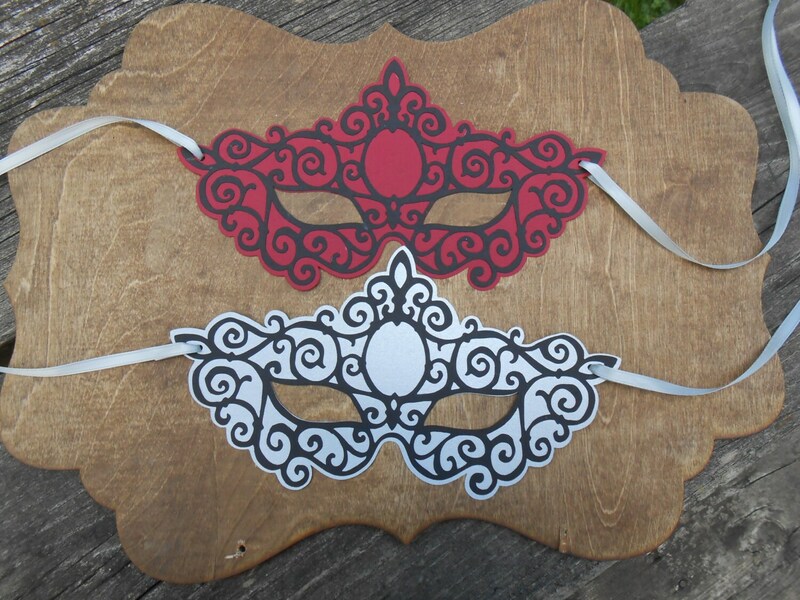 This listing is for 10 masquerade masks, in the colors of your CHOICE! You can choose the color of the top and back layer. Each mask will have a long ribbon for tying on. The masks measure 9" long and 5" tall. They are good for adults and kids. 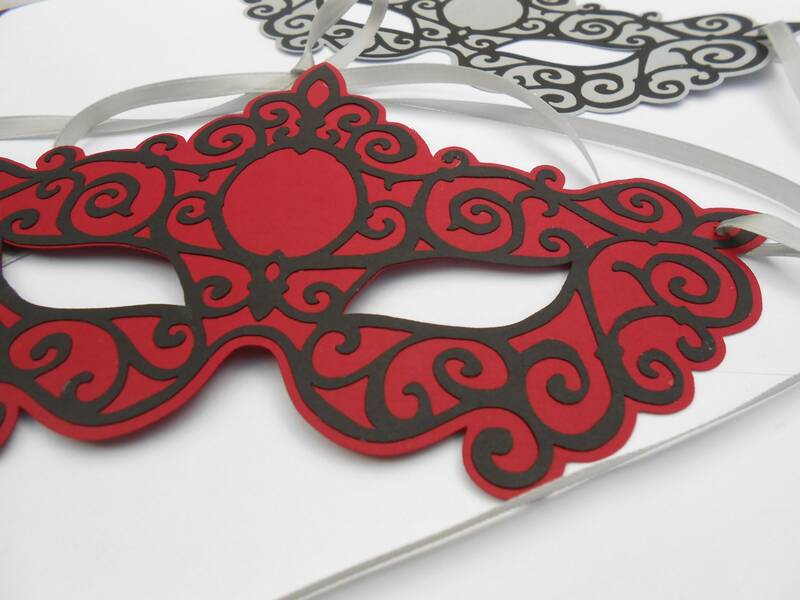 Wonderful for Halloween parties, balls, wedding photo booth props, birthday parties, etc. Pick any colors you would like! 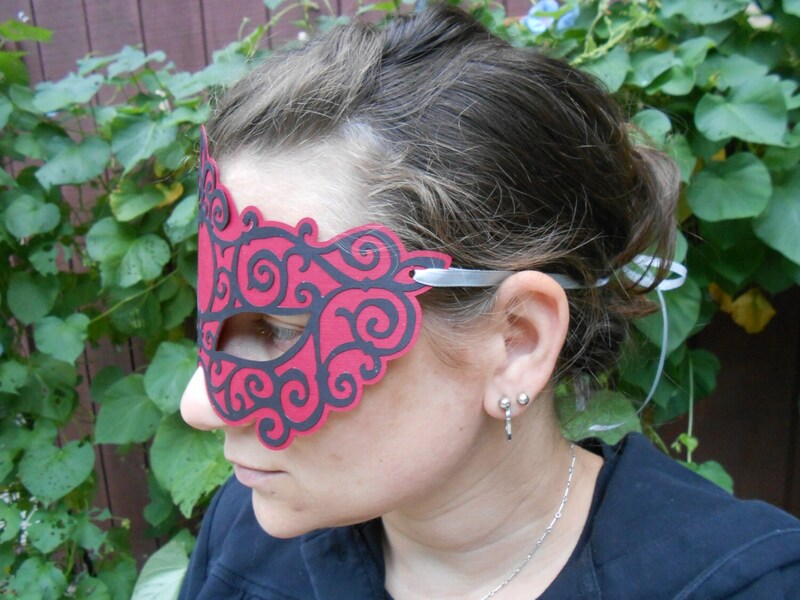 These masks are made from sturdy cardstock. **These can also be put on sticks, if you'd prefer. I can make other sizes. If you have really small kids (under 5 years old), I can make them smaller! Please contact me for a quote. Just ask! Also, contact me before purchase if you need an international shipping rate. Thanks! If you would like a larger or smaller quantity, please convo me and I will set you up a listing!